Wallpapers are like a magic wand. Like fairy godmother did for Cinderella, wallpapers can completely change the look of your home walls. They add some glamour, a drop of drama, and oodles of style to your interiors. But choosing the correct home wallpaper pattern can be a tricky decision to make. In the race between paint and wallpaper, one of the advantages that wallcoverings have is the wide range of designs and patterns available. Excel Wallpapers have an extensive collection of wallpaper designs for walls. 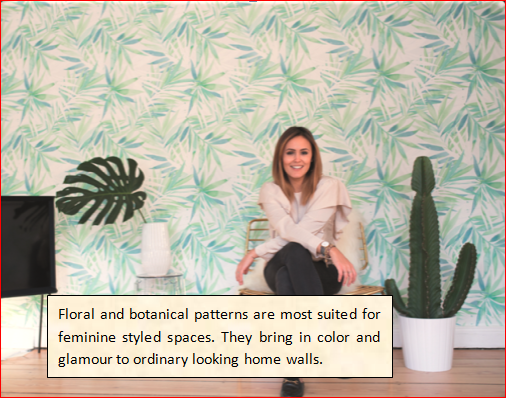 From geometric prints to floral patterns, and from natural textures to 3D designs, wallpapers can vary in style and look. Patterns can be bold and intimidating, or they can be soft and minimalist. 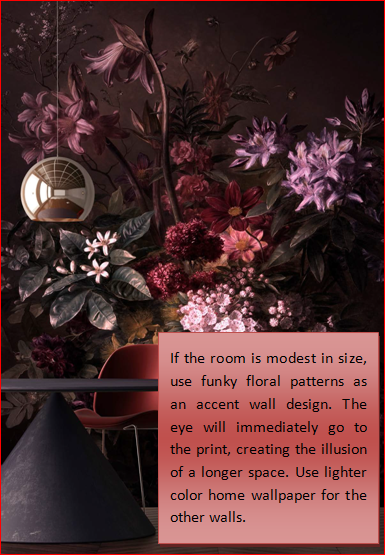 If the room is too big and spacious, use a heavily patterned wallpaper design for walls with a lot of contrast. But in a small room, huge prints might look too stuffy and cluttered. Another simple way to create the illusion of a larger space is by using wallpaper featuring shimmery metallic prints. Geometric wallpaper design for walls almost always comes with a level of contrast, varying between bold patterns and discreet prints. Greater contrasts (like black and white) make a room look smaller. Lighter contrasts (with similar shades) give a roomy and open vibe to space. Geometric patterns can be installed in the living room, bedroom, bathroom, and kitchen, as well as staircases, corridors, and ceilings. They create a contemporary or art-deco kind of interiors. 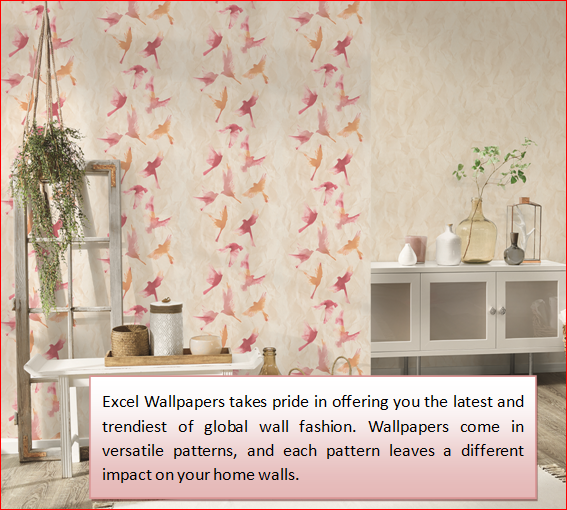 Excel Wallpapers offers a diverse collection of wallpaper designs and patterns. With our versatile wallpaper collections, our customers can find any and every pattern for their home walls. 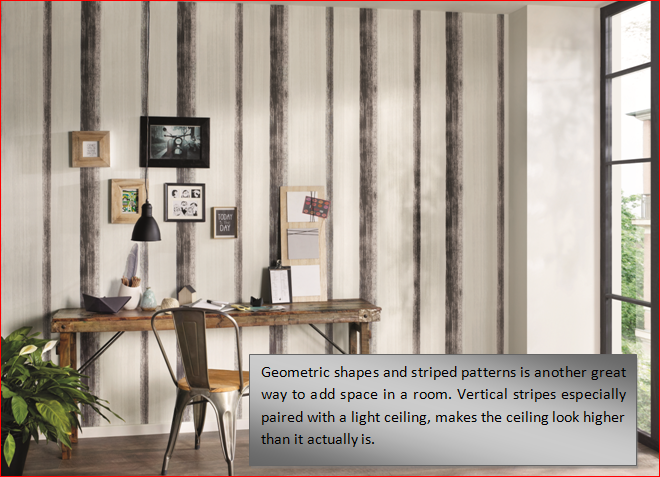 With Excel, no style is impossible to achieve for your walls!